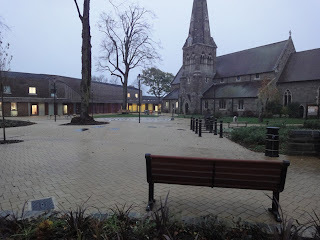 Saturday 15th October saw the new Kings Heath Village Square, Kings Heath Squares for October date, officially opened by the Lord Mayor of Birmingham and blessed by the Bishop of Birmingham Rt Rev David Urquhart. 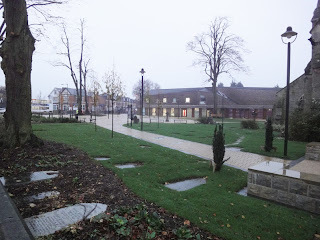 The opening was accompanied by bands playing and choirs singing as the space formerly made up of the churchyard of All Saints church and city highways land was opened creating a focal point for the town centre for community events and Kings Heath Farmers Market. The opening came ahead of all the works on the square being completed and the square has only recently seen all of the outstanding work completed; the completed square revealing a wonderful open that puts the church at the heart of Kings Heath and providing a focal point for different faiths and communities. At the heart of the square is an elaborate labyrinth which is reproduced again in miniature form at the centre to symbolise eternity. The labyrinth sits alongside a mixture of work overflowing with symbolism through modern poetry, Biblical scripture and classical design and natural influences with grave stones relaid in the new surface and twenty new mosiacs, A-maze-ing. 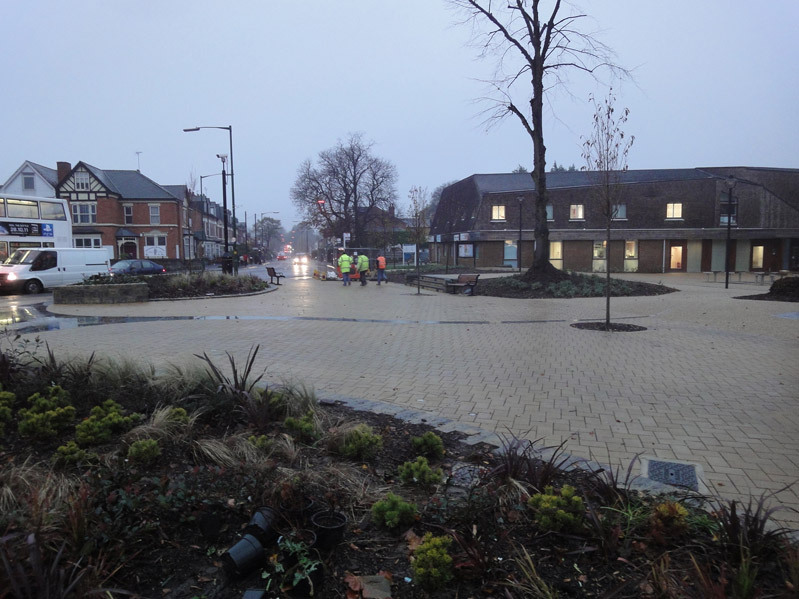 New Kings Heath square overflows with symbolic public art. Designs around the central labyrinth draw from a wide range of sources: there is a beehive for community and order, chemical formulae, the ying-yang for balance and harmony - and many more. The labyrinth itself came from workshops Simon did with local young people. They were encouraged to draw mazes and one of them drew inspiration from the arched window in All Saints Church. That pattern can now be seen repeated across the square. Particularly popular in the new square are the bubble pavements which are small fountains either side of the main path into the church. 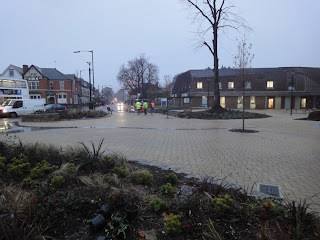 The following pictures from the 7th November show the square.